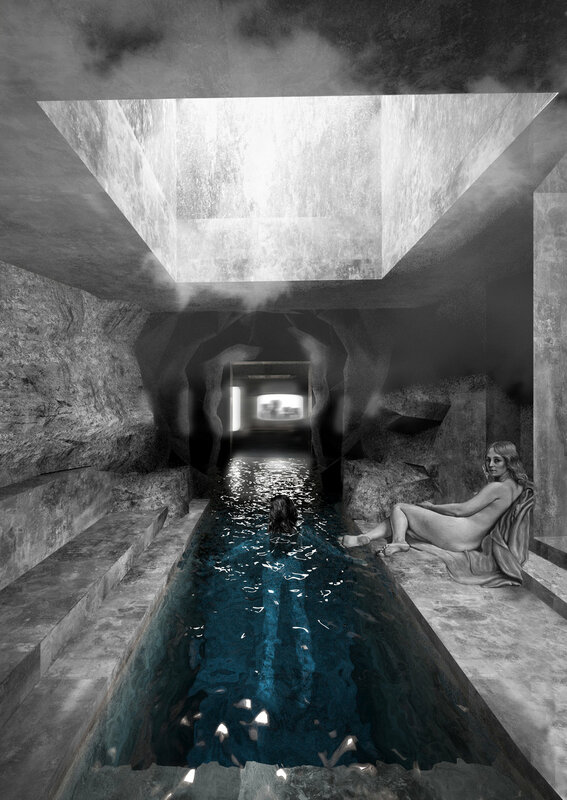 She imagines "subversive encounters" in a project on the relationship between public and private realms. 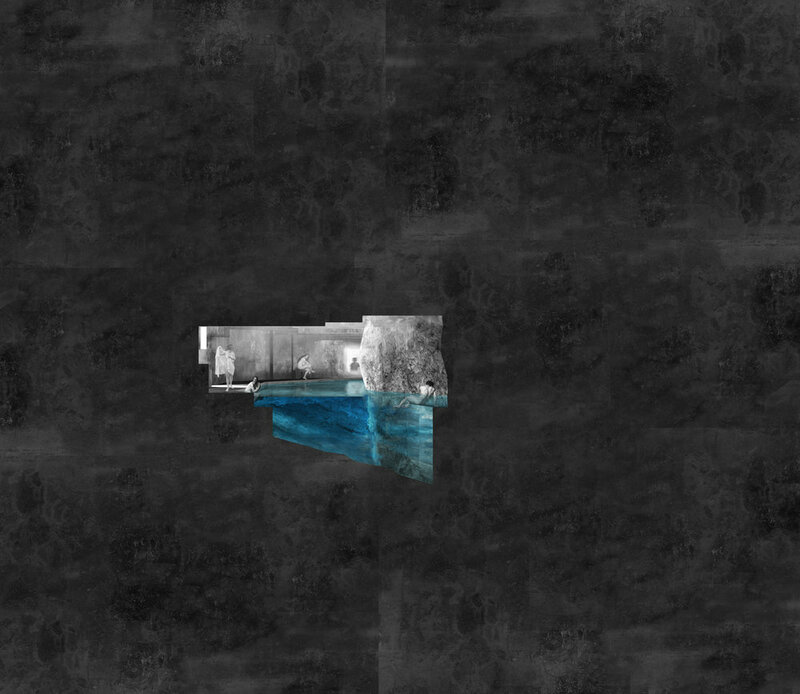 She envisions a series of bathhouses inserted into Montreal's subway system. 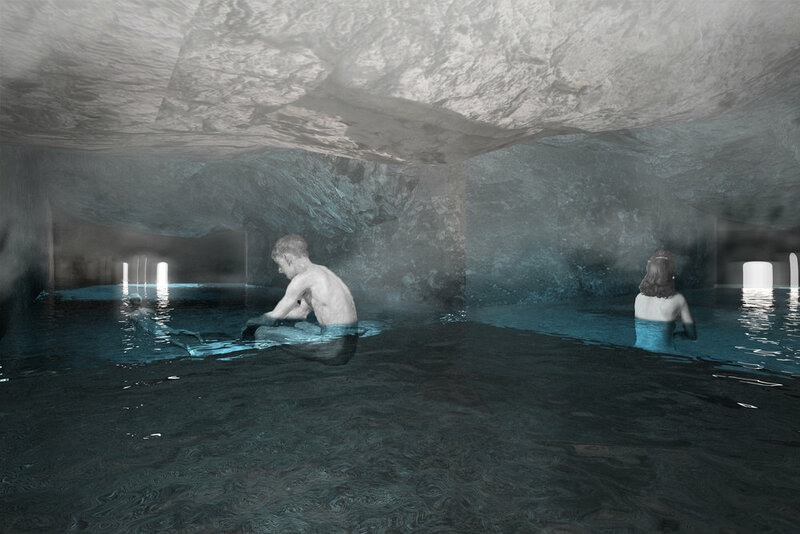 She explores the notions of voyeurism and intimacy, carving out baths in the underground limestone.